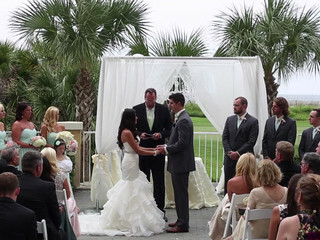 Owned by Pastor Bob Hovey, First Coast Ceremonies offers couples wedding officiant services in Jacksonville, Florida. 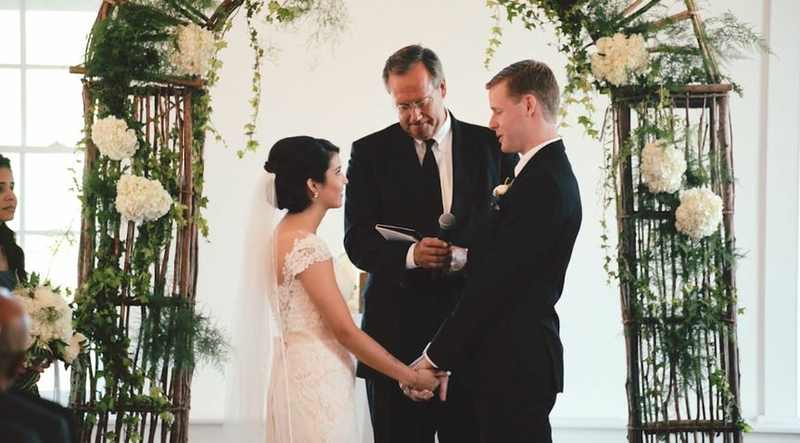 Pastor Bob has been a pastor for over 24 years, and finds great joy in performing wedding ceremonies. 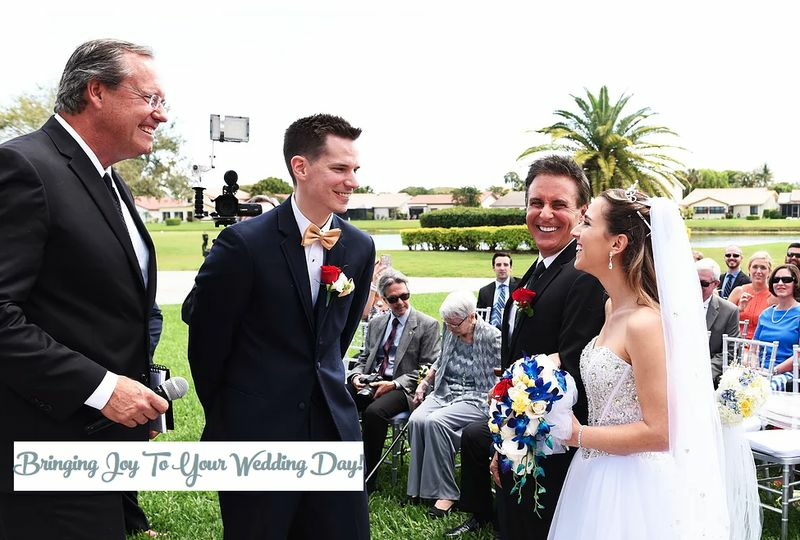 He loves to serve each couple on their special day, sharing his joy, wisdom, and experience, as well as having fun along the way. 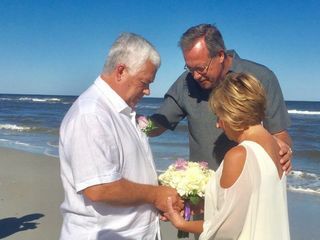 Pastor Bob is also a lover of fishing, and often visits the inner coastal waterway and offshore fishing spots, and loves when his engaged couples join him before their wedding. There are no words to describe how phenomenal Pastor Bob is. 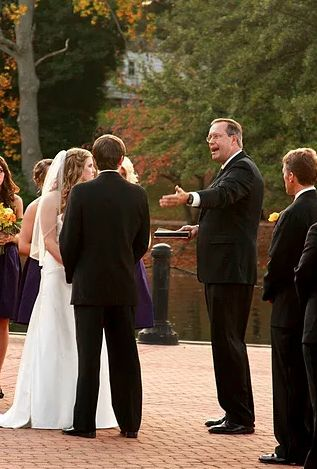 From our first phone conversation, my husband and I knew we had to have him as our wedding officiant. Trust me......We were not disappointed. His personality is so fun loving and he fit right in with our wedding crowd. He really put us at ease in the most important time in our life. You can easily tell he absolutely loves what he does and it's shown through his work. We were planning our wedding states away and Pastor Bob had the best ideas and was so communicative with us throughout the process. 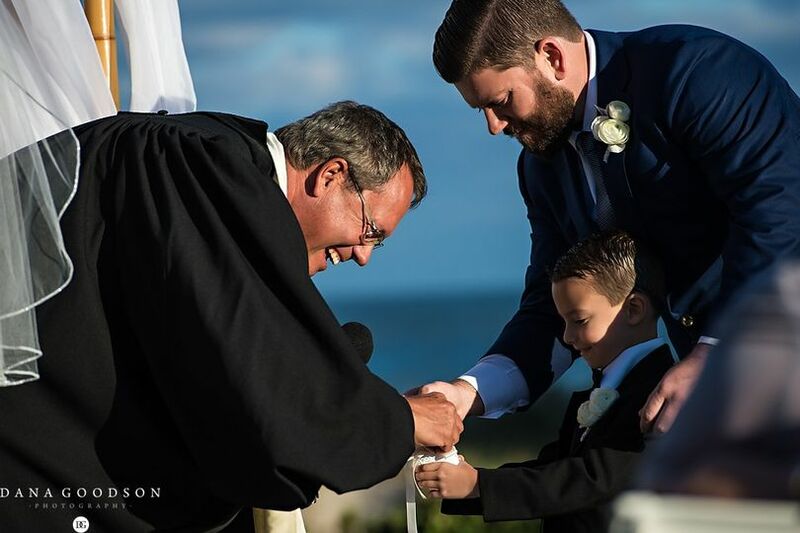 He encouraged us to truly be "us" during our ceremony and helped us tailor it to exemplify our love for each other. 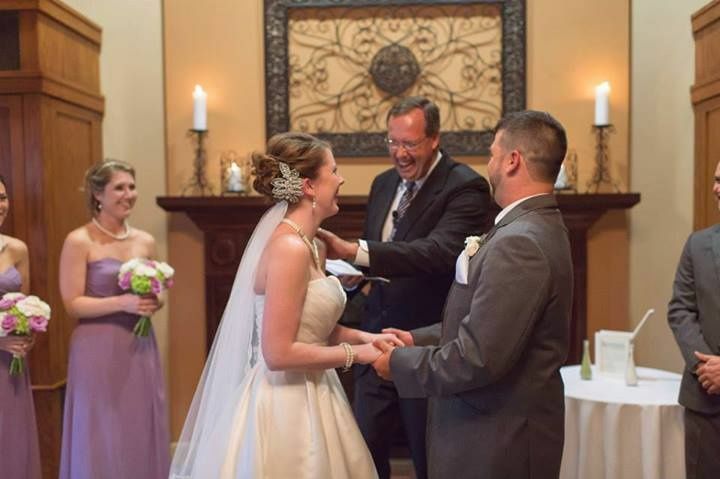 Our guests are still raving about how awesome out officiant was, and I highly recommend Pastor Bob if you want the wedding of your dreams. We're so thankful for our new found friend and all his hard work to give us the ceremony of our dreams!! Pastor Bob is hands down the best! I just got married on 3/30/2019 and couldn't image having anyone else officiate our wedding. We met with Bob in the beginning of January and decided to do the premarital counseling and hire him to officiate our wedding. He came to our house twice for the counseling and it was such a fun and eye opening experience! Nathan and I are very much the type of "opposites attract" and Bob could tell that from only sitting down with us for 5 minutes. 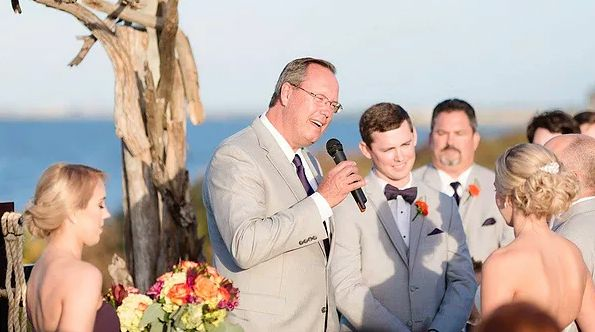 He made us both feel comfortable and we played games, he told us his life experiences and how he got to where he is today, we talked about our families, you really got to know Bob as a friend which really helped him with writing the ceremony vows. Bob sent us a draft of what he had for the vows and had us look it over to see if we liked it and if we wanted to add anything. That was refreshing for us to know he really wanted our input and wanted to make our day perfect for us! The wedding day couldn't have been better! Pastor Bob was great and the ceremony was comfortable, loving, and quirky (just like us). Everyone loved the message and Pastor Bob also went out of his way to help the wedding coordinator with moving chairs and tables during the reception, which I know she appreciated completely. He also sat with my parents for dinner and they also loved getting to know him! I can't say enough great things about Pastor Bob and our experience. I feel like I could even call him today and talk to him to ask him questions and he would be there. If your looking for someone to make you laugh, make you feel comfortable, and truly provide a great message Pastor Bob is your guy! Pastor Bob was amazing! He is very professional and very accommodating. 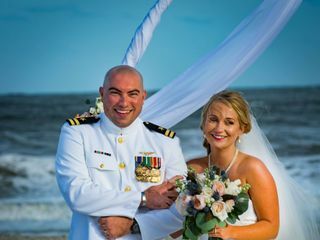 He made our Beach Wedding a Fairy-tale come true! I highly recommend Pastor Bob! Thank you Pastor Bob for all you did to make our wedding perfect!